Today I would like to share a basic tutorial on how I make my backgrounds.﻿ I love incorporating lots of different products into my background especially stamps. 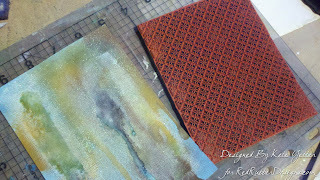 You can customize your backgrounds to put on cards, canvases, layouts or any altered project. I started out with a blue cardstock. 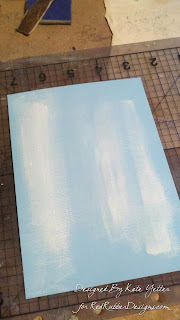 I applied a little bit of gesso to my background and dried it with a heat tool. 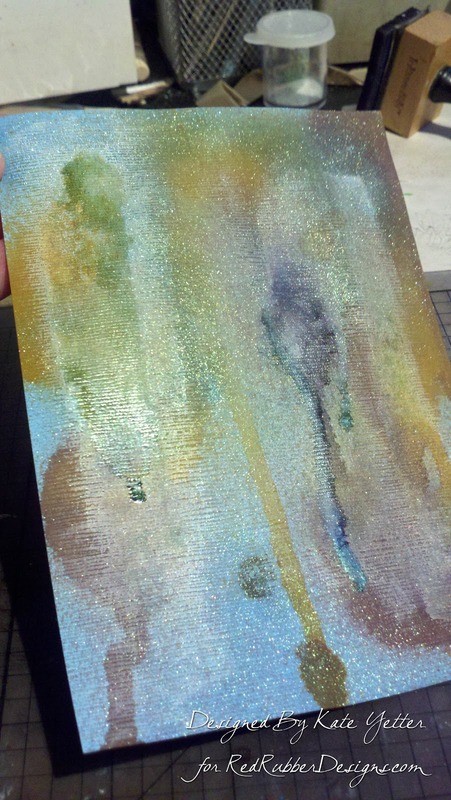 I sprayed my various colored glimmer and pigment sprays to my background and allowed the paint to drip down my cardstock. I inked my background stamp with blue ink and randomly stamped it onto my background. 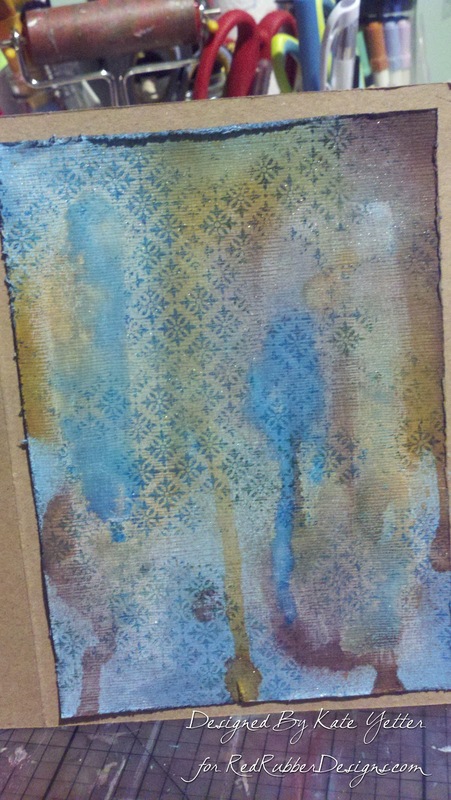 I distressed and inked the edges of my cardstock and then added it to a kraft colored card base. Complete by adding layers of embellishments and stamped images. 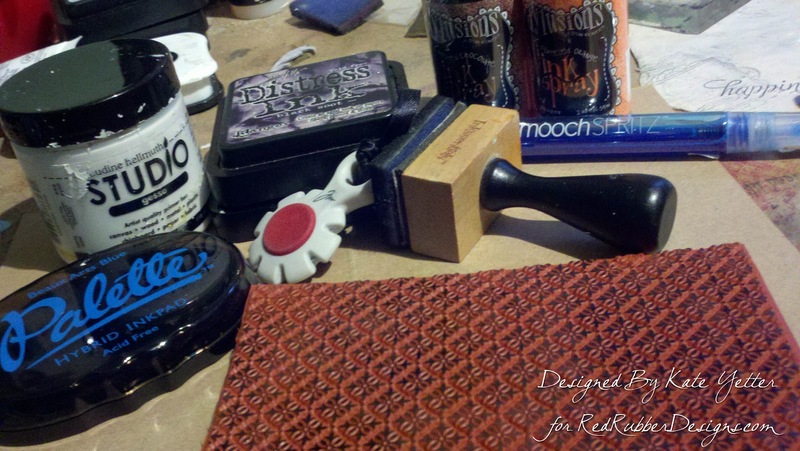 You can find this tutorial as a FREE PDF file in the Red Rubber Designs store. Now we know your secret, Kate! Great tutorial. 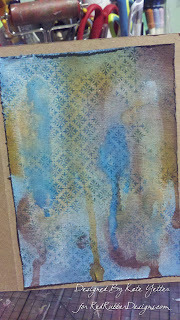 Gorgeous distressed background - gotta try me some dribbling!